Prevention strategies and digital transformation were the main themes of this edition of the annual conference organized by the ORP International Foundation. 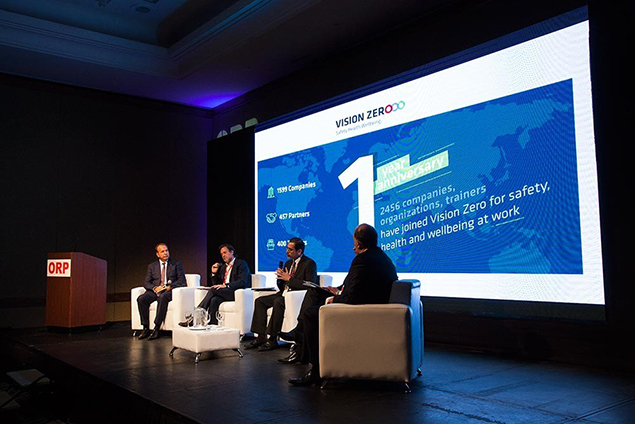 Secretary General Hans-Horst Konkolewsky presented the Vision Zero campaign and a panel of representatives from social security institutions, companies, occupational safety and health consultancies and international organisations who have signed up for Vision Zero shared their commitment and programmes related to the campaign. During the same conference, the global contribution of the Vision Zero campaign was further recognized by the achievement of the International ORP Award 2018.